Sim64 are the search engine optimisation division of UK Small Business Directory and have been providing SEO Services since 2001. As a Warwickshire SEO Company we provide a more hands on service to small business owners within a 10 mile radius of Shipston-on-Stour - Contact us for further information on a range of special SEO Services we provide to South Warwickshire based small businesses. We now provide a range of SEO services and SEO training packages devised to help you learn SEO yourself and teach you the basics of how to create websites that rank high in search engines. With Google concentrating so much on Geo settings, location settings and returning personalised results, Sim64 now only provide SEO Services to UK based businesses or businesses specifically targeting The UK. The SEO Services we provide are tailored to your needs. Free, no-obligation SEO audit of your website to determine how well it should rank and provide tips on how to improve your rankings. 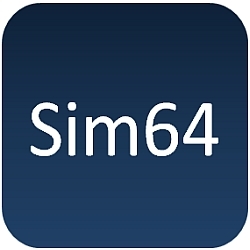 The website sim64.co.uk is now over 15 years old and basically consists of 2 blogs on one website. Enter your UKSBD ref number in box below to see your listing.